Appears in print in Bandette Volume Three: The House Of The Green Mask. 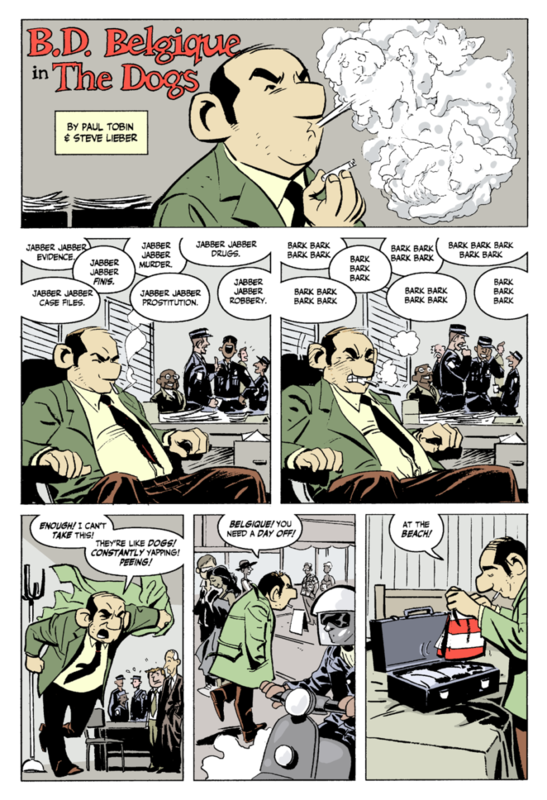 Steve Lieber’s comics and illustrations have been published by DC, Marvel, Dark Horse, Image Comics, Dupuis, Scholastic, Penguin, and many others, on properties like Batman, Superman, Hellboy, Star Trek, and Road to Perdition. He’s best known for his work on Superior Foes of Spider-man at Marvel and Whiteout at Oni Press. He’s currently drawing The Fix at Image Comics. His various projects have received nine Eisner Award nominations, and he won the Eisner for Best Limited Series for Whiteout volume 2: Melt. Whiteout was made into a feature film at Warner Bros. starring Kate Beckinsale.